HELP YOUR CHILD GAIN THEIR ADVANTAGE BY PARTICIPATING IN OUR NEW SPRING 2019 PROGRAM! The NOKC Advantage is a supplemental training program designed for recreational players to develop their individual soccer skills in addition to their weekly team practices. The NOKC Advantage is open to any recreation player U7-U12, boys & girls. The NOKC Advantage program is run by licensed coaches who will be working to improve players individual skills & confidence, while participating in an enjoyable environment. Who is leading the NOKC Advantage Program? What day / time of the week is the NOKC Advantage Program offered? When does the program start & end? The NOKC Advantage is a 8 week program, beginning March 6 and ending on May 1. We will NOT have a training on Wednesday, March 20 due to Spring Break. What does my player need to bring? 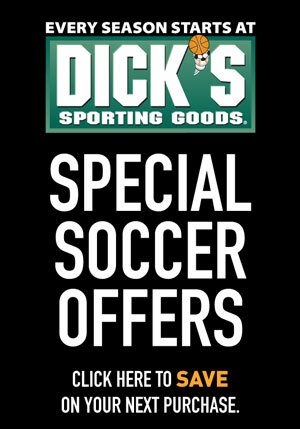 Ball, cleats, shinguards, & water! Training fees for the 8 week program & a t-shirt! Registration received after the regular registration period (February), may not receive a t-shirt. How do I know if a session is cancelled? We will only cancel if there is inclement weather. Please check 405-751-7368, follow us on twitter @nokcfieldstatus, or check the website www.nokcsoccer.com before headed to the complex! We guarantee one make up date which will be on May 8, if needed! Yes, you can register on Wednesday, March 6, but your child may not receive a t-shirt. We will not allow registrations after the program has started. Yes, a family discount of $5 per child will be given for the additional children. In order to receive the discount, you must register using your family account! A refund of $5 less than the registration fee will be given if requested during the regular registration period (February 1 – February 28). You will receive a 50% refund if requesting between March 1 – March 5. No refunds will be issued after the first day of The NOKC Advantage, March 6.